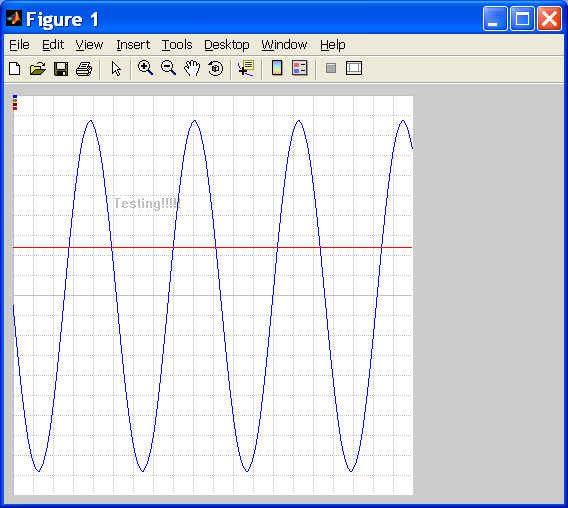 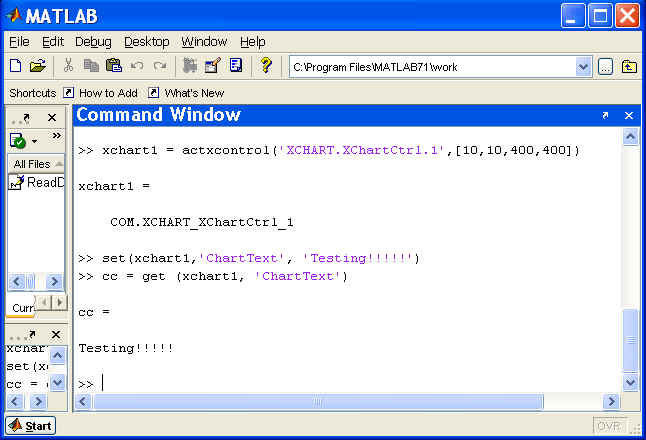 This Matlab tutorial shows you how to use ActiveX in Matlab. 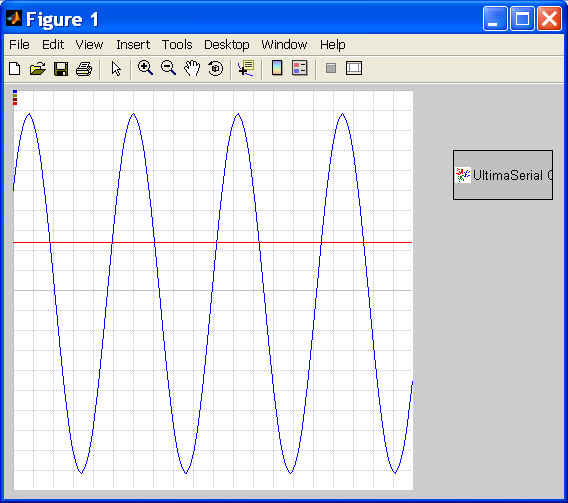 This tutorial also applies to DI-145, DI-149 and DI-155. 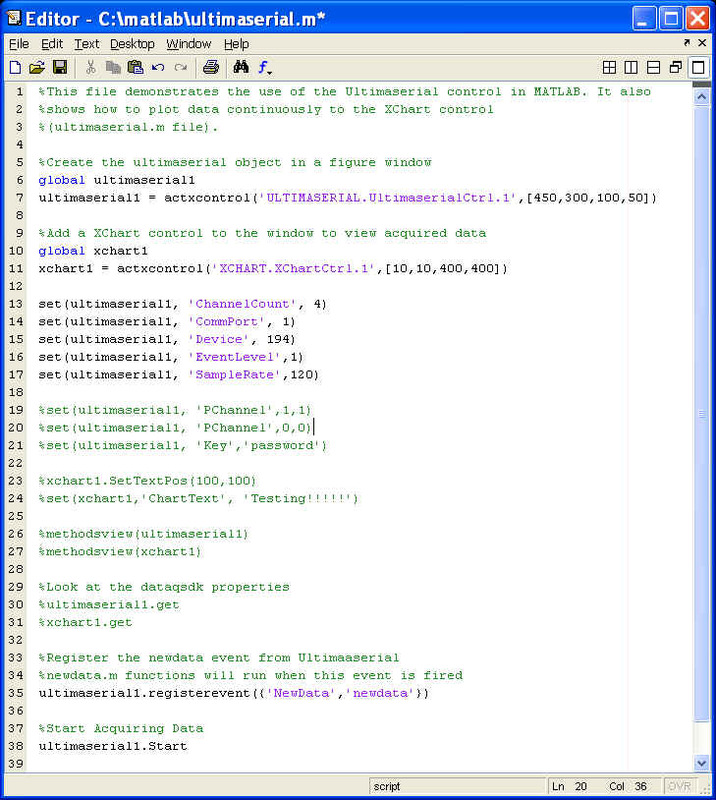 Before we start, please download and install UltimaSerial. 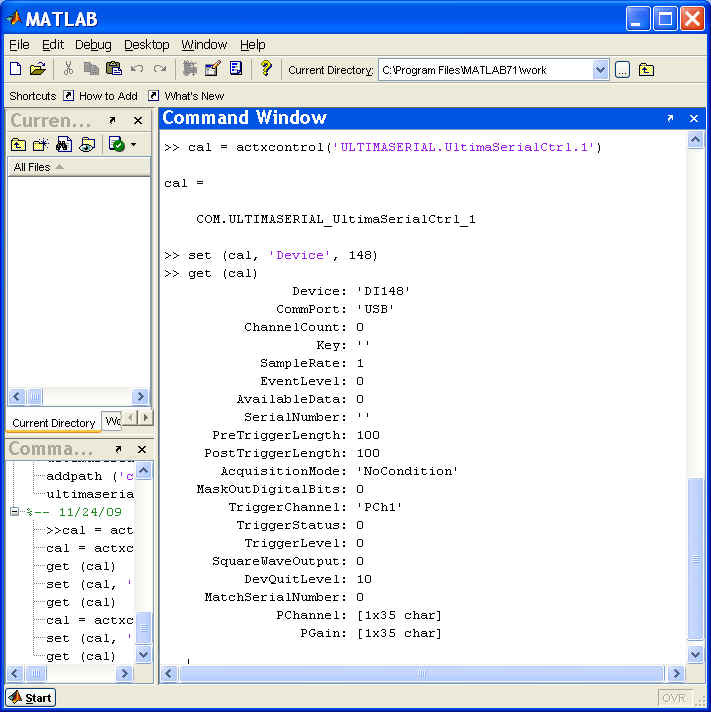 Download the Matlab Example files, which includes ultimaserial.m and newdata.m. 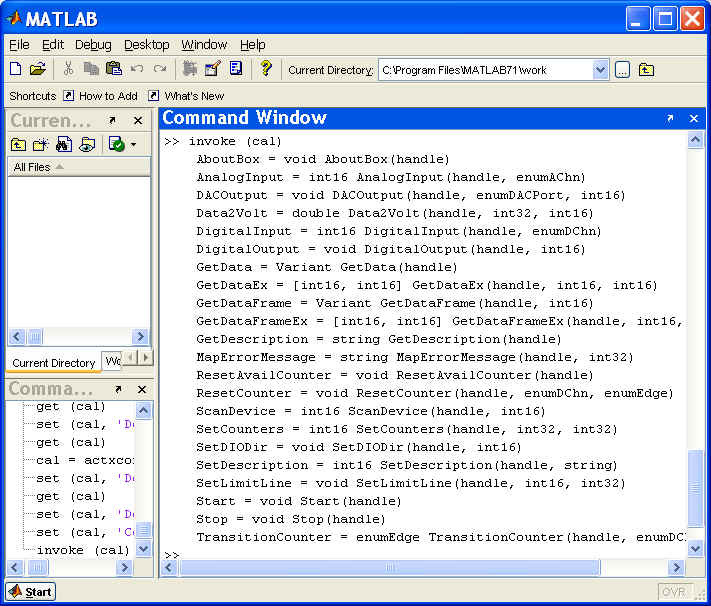 Unzip them to c:\matlab so that you can use it as reference as you read on. 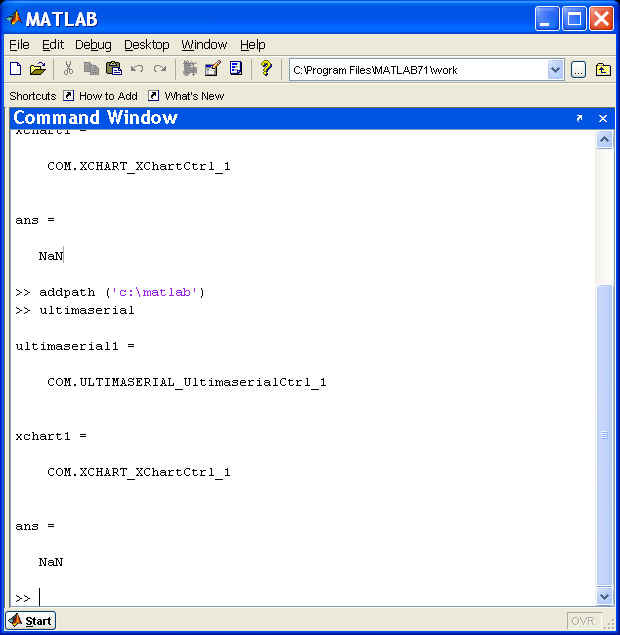 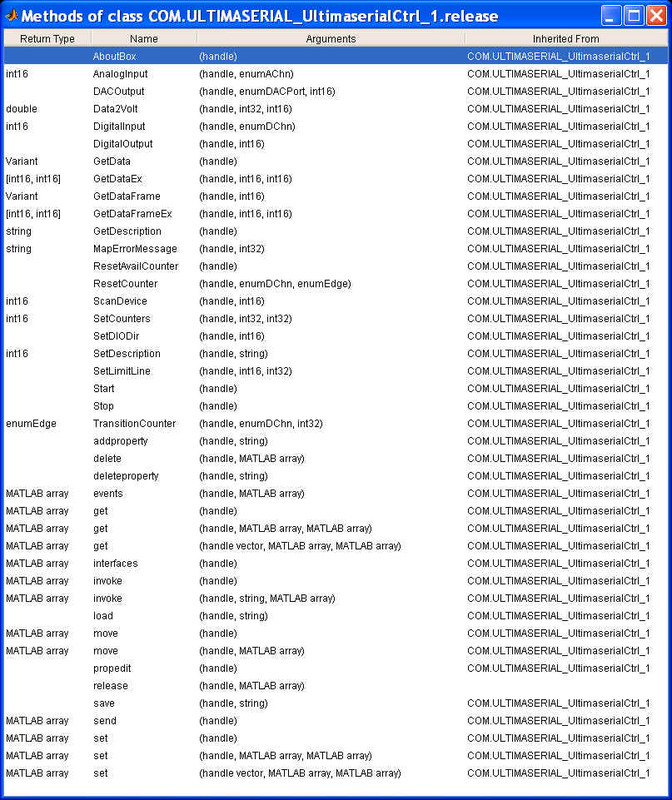 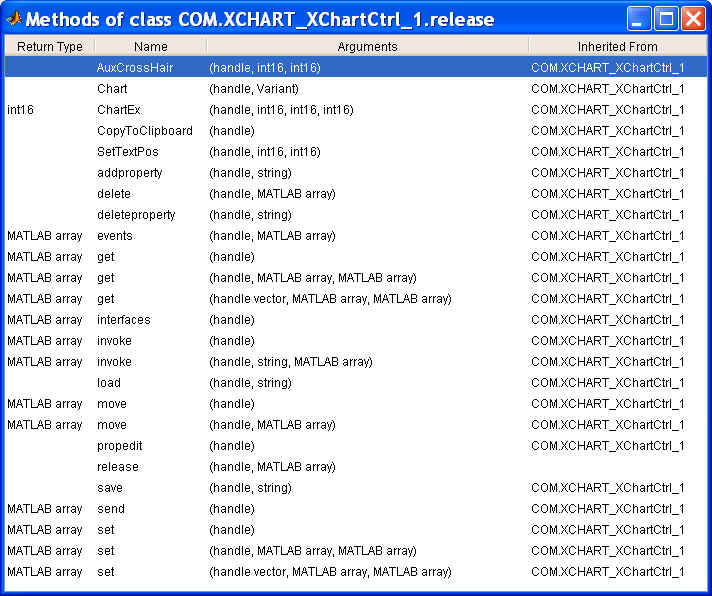 Use Matlab Editor to open newdata.m, and you will see the following codes.